Christian Dior’s Minuit sunglasses showcase the French label’s couture heritage with embellished crystal detailing on the arms. 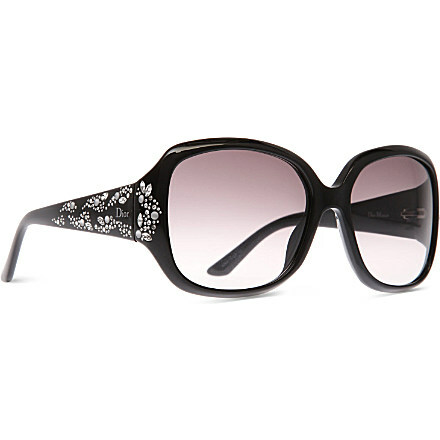 Wear these sleek statement shades in the city or on holiday for an instant dose of glamour. You can get this eye candy at Selfridges for £430. Who wore this Alexander McQueen peplum-waist dress better? Duchess of Cambridge has a long sleeve version on while Tulisa Contostavlos has on a sleeveless version? Who wore it better? Let’s hear it.